New Shoes or Polished Shoes? Many years ago, the chairperson of my church’s finance committee told our gathered membership that he had not purchased new shoes for his presentation of the proposed new budget, but he had at least polished them. No doubt this comment was to reflect the austerity which had shaped that budget. 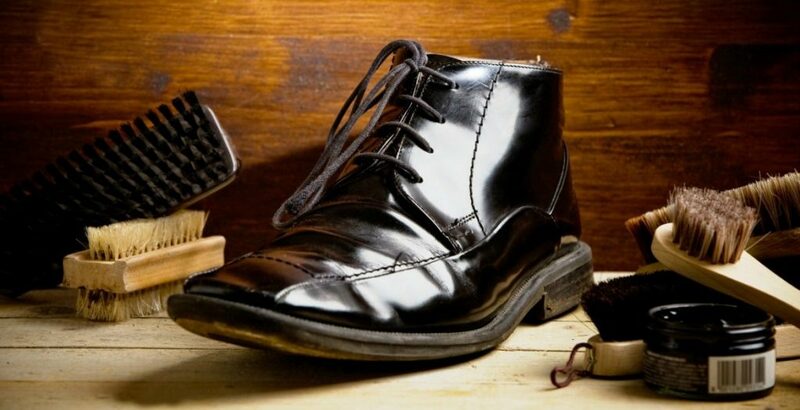 It would seem to me that the finance committee chairpersons of most charitable organizations would tend to “polish” their shoes rather than “purchase” new ones for similar reasons. And I suspect this will be the case at the next Mennonite Heritage Village (MHV) Annual General Meeting (AGM). Our 2018 books have now been closed, statements have been printed, and budgeting worksheets have been distributed to department heads. It probably goes without saying that budgeting is nobody’s favourite activity. But it needs to be done. One of the factors we need to project is changes in revenue. Can we expect more guests to visit the museum this year than last year, thereby increasing our admission revenue? And if so, why? How will the number of guests affect sales in Village Books and Gifts and in the Livery Barn Restaurant? How will local traffic impact sales in those two venues? Will the number of people using our Summer Pavilion, our Auditorium, or one of the other meeting rooms increase compared to last year? And again, why? What grants can we expect to receive for various programs and projects? Will donations and fundraising revenue increase or decrease? While we consider these questions, we also need to figure out how we will need to manage our areas of responsibility in order to bring about increases in revenue. What exhibits and programs will attract local, regional, national and international guests? What products and services will make our gift shop and restaurant popular destinations? What services will make our rental facilities attractive to local businesses, family groups and wedding parties? What fundraising events will the public find engaging and compelling? And it doesn’t get any easier. We also need to determine the optimum prices to set in our gift shop and restaurant, for museum admission, for our facility rental business, and for fundraising events. In other words, what value will people place on our products and services in order to feel that they are being treated fairly and enjoy doing business with and supporting our museum? Salaries of our paid staff make up a significant part of our expenditures. Our staff need to be treated fairly, which is addressed in part by paying wages that are at least similar to what they could earn in the for-profit world. At the same time, we need to be fair to the many MHV supporters who make donations to our work and therefore be frugal with all our operating costs. And at the end of this budgeting exercise, our final budget must of course be a balanced budget. For the next several weeks, department heads will be processing all these questions and trying to come up with the best combination of revenue and expense projections for this new year, shaped by last year’s performance as well as our 2019 strategic plan. We will be guided by our knowledge of the broader museum industry, by our understanding of our supporting constituency, and by our good will towards our community. Plan to attend our AGM in April to see how we did!